Before I became a private investigator and physical security consultant in my home state of Oregon I spent 34 years in law enforcement. Much of that time was spent investigating residential burglaries. I caught burglars who were stalking neighborhoods looking for an easy target. I confronted burglars as they were attempting to break into homes. I apprehended burglars inside homes and as they were trying to sneak away from the crime scene. I don’t know for sure, but I would say that I have probably interviewed close to a hundred burglars over the years. 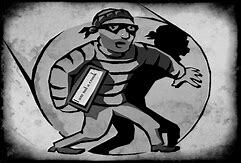 devote little or no advance planning to any specific break-in and just select a home to burglarize at random. But most of the time, burglars give some thought about which home to burglarize. Sometimes their reasoning is quite logical and other times it is just a product of a crazy drug infested mind. 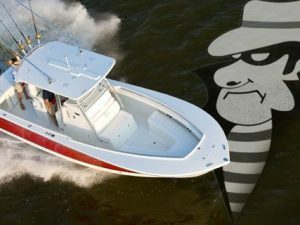 Nevertheless, it is always interesting to “look-into” the criminal mind and learn what you might do to deter someone from trying to break into your home. When it comes to residential burglary prevention – it helps to know what works and what probably does not work. 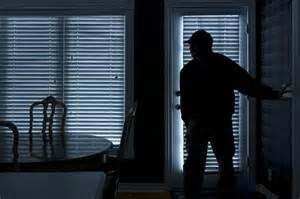 A few years ago The University of North Carolina at Charlotte, Department of Criminal Justice & Criminology, published a research study entitled: “Understanding Decisions to Burglarize From the Offender’s Perspective.” It is an interesting read and solidifies some of the things I learned when I responded to and investigated hundreds of residential burglaries. One of questions I was often asked by burglary victims (and a question I am still asked today when I do security consulting work) is whether they should get a dog for protection. Research from The University of North Carolina and research elsewhere, suggests that dogs can help to reduce the risk of burglary. But my response then, and my response now, is a resounding NO. Do not get a dog solely for personal or home protection. Burglars like to go undetected. They like to get in, get the loot, and get out as quickly as possible. It is not only the risk of attack from sharp teeth that concerns burglars, but also the noise the dog creates. Dogs, especially loud barking dogs, make it difficult to be stealthy. 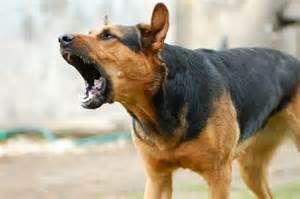 Some breeds of dog are more of a deterrent than others (please read http://physicalsecurityonline.com/guide-to-choosing-a-dog-for-security for a complete Guide on choosing a dog for security), but generally a loud barking dog does act as a burglar deterrent. If this is the case, why do I continually caution about getting a dog solely for personal or home protection? A dog is a living social creature. A dog needs a lifetime of care, attention, exercise, and love. If you can commit to welcoming a dog into your life, it will undoubtedly serve you very well as an organic burglar detection alarm. But getting a dog just for burglary prevention is not a good idea. Additionally, many renters have difficulty finding landlords who allow dogs. And even when a renter can find an accommodating landlord, there are usually steep pet fees and pet deposits. Barking Dog Alarms have been around for some time but only recently has the technology improved enough so that the alarms are functionally reliable and realistic sounding. There are many different manufacturers of barking dog alarms (just do an Internet search and you will find them) but they all work similarly. They are placed inside near a front or back door or a likely area of intrusion. When armed, their sensors detect when a thief or intruder comes within approximately 7 to 10 feet. The “Invisible Dog” then generates barking sounds just like an angry dog. On some of these alarms the electronic barking gets louder the closer someone gets to the entry point. Manufacturers of some of the more sophisticated models claim their sensors uses electronic radar-waves and can detect intrusive motion through wooden doors, walls, cement, brick, glass, paper, curtains, and other objects. In my security consulting business I sometimes recommend an “Invisible Barking Dog Alarm” for persons who want the burglary deterrent effect that a barking dog can provide but do not have the ability or desire to welcome a real dog into their life. These electronic watchdog alarms never need to sleep, a walk, food or water; yet are always on duty guarding and protecting. They are perfect for vacations, vacant properties, or just when you are out of the house. Many of the better alarms have very realistic dog barking sounds but to enhance the effect I often recommend that the owner place a dog bowl on the front porch. After all, every dog needs to eat! A small BEWARE OF DOG sign on a door or in a front yard can also add to the deterrent effect of your invisible barking dog. 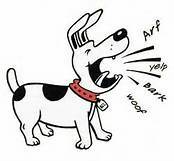 Invisible Barking Dog alarms cannot prevent every burglary but they can be part of an effective deterrent system. Like all alarms, barking dog alarms should be used as part of a larger layered security system. 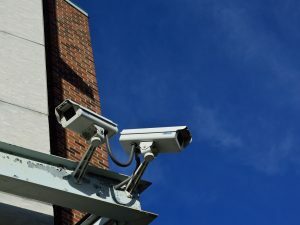 A layered security system involves multiple types of security measures designed to protect your property. It recognizes that not every security measure will always be effective but if one security measure does not stop the intruder the next one hopefully will. A typical residential layered security system might consist of exterior fences and gates, landscaping that does not invite intrusion, exterior motion detection lighting, solid core doors with deadbolt locks, and finally as one of the last lines of defense – an Invisible Barking Dog alarm. 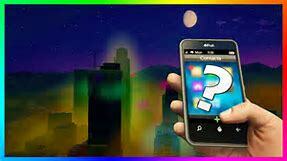 When shopping for a barking dog alarm research them thoroughly and read user reviews. Some of the alarms are very realistic sounding and have excellent sensors and some are cheap ‘knock-offs’ that do not perform well.